I am currently listening to Florence and the Machine’s fourth studio album High as Hope which was released 29 June 2018. Florence and the Machine are Fronted by Florence Welch. Their roots go back to 2006 when Florence Welch began performing with Isabelle Summers in small London venues under the joint name Florence Robot/Isa Machine. In 2007 Welch recorded with a band named Ashok, who released an album titled Plans. This album included the earliest version of her later hit “Kiss with a Fist”, which at this point was titled “Happy Slap”. Florence and the Machine subsequently acquired Mairead Nash (one half of the DJ duo Queens of Noize), as a manager After an inebriated Welch followed Nash into the toilets at a club and sang Etta James’ 1962 song “Something’s Got a Hold on Me”. Florence and the Machine released their debut album Lungs in the United Kingdom in 2009. Florence Welch also contributed vocals to David Byrne and Fatboy Slim’s 2010 album Here Lies Love, an album about Imelda Marcos. In 2011 Welch collaborated with Drake on his album and Florence and the machine also released their second album, Ceremonials. In 2012 Florence and the Machine were nominated for two Brit Awards, Florence and the Machine also released “Breath of Life”, from the film Snow White and the Huntsman. In 2012, a remix of “Spectrum (Say My Name)” from Ceremonials by Scottish singer songwriter, musician Calvin Harris became a UK number-one hit. She later featured on Calvin Harris’s song “Sweet Nothing”, from Harris’s third studio album 18 Months. Florence has been compared to other female singers such as Kate Bush, Siouxsie Sioux, PJ Harvey, and Björk. During an interview, Welch cited Grace Slick as her influence and “hero”. Florence and the Machine’s style has been described as “dark, robust and romantic”. Their music is a mix of “classic soul and midnight-on-the-moors English art rock”. Florence Welch stated that her lyrics related to Renaissance artists : “We’re dealing with all of the same things they did : love and death, time and pain, heaven and hell”. Florence and the Machine’s third album How Big, How Blue, How Beautiful was released in 2014. It received positive reviews from music critics, who commended the album for its cohesion, production and Welch’s vocal delivery and appeared on numerous year-end critics’ lists in late 2015. The album debuted at number one IN the UK becoming the band’s third consecutive number-one album, and topped the charts in several other markets. Four singles were released from the album—”What Kind of Man”, “Ship to Wreck”, “Queen of Peace” and “Delilah”. How Big, How Blue, How Beautiful has earned the band five Grammy Award nominations, in addition to being shortlisted for the 2015 Mercury Prize. Florence and the Machine’s fourth studio album of High as Hope was released 29 June 2018 It was preceded by the singles “Sky Full of Song”, “Hunger” and “Big God”. Here is the track listing June, Hunger, South London forever, Big God, Sky full of Song, Grace, Patricia, 100 years. The End of Love and No Choir. American-British artist, designer, visual effects creator, writer, and producer “Ray” Harryhausen was born June 29, 1920 in Los Angeles, California. He spent his early years experimenting in the production of animated short films and was greatly inspired by the stop-motion animation of pioneer model animator Willis O’Brien on the film King Kong. So a friend arranged a meeting with O’Brien for him. O’Brien critiqued Harryhausen’s early models and urged him to take classes in graphic arts and sculpture to hone his skills. Meanwhile, Harryhausen became friends with an aspiring writer, Ray Bradbury, with similar enthusiasms. Bradbury and Harryhausen joined the Los Angeles-area Science Fiction League formed by Forrest J. Ackerman in 1939, and the three became lifelong friends. Harryhausen secured his first commercial model-animation job, on George Pal’s Puppetoons shorts, based on viewing his first formal demo reel of fighting dinosaurs from a project called Evolution of the World which was never finished. During World War II, Harryhausen served in the United States Army Special Services Division under Colonel Frank Capra, as a loader, clapper boy, gofer and later camera assistant, whilst working at home animating short films about the use and development of military equipment. During this time he also worked with composer Dimitri Tiomkin and Theodore Geisel (“Dr. Seuss”). Following the war he salvaged several rolls of discarded 16 mm surplus film from which he made a series of fairy tale-based shorts, which he called his “Teething-rings”. One of Harryhausen’s most long-cherished dreams was to make H.G. Wells’ The War of the Worlds. After World War II, he shot a scene of an alien emerging from a Martian cylinder showing the fearsome being from Mars fatally succumbing to an earthly illness, contracted from the air the natives breathe harmlessly. It was part of an unrealized project to adapt the story using Wells’ original “octopus” concept for the Martians. In 1947 Harryhausen was hired as an assistant animator on what turned out to be his first major film, Mighty Joe Young (1949). O’Brien ended up concentrating on solving the various technical problems of the film, leaving most of the animation to Harryhausen. Their work won O’Brien the Academy Award for Best Special Effects that year. Ray Harryhausen first film featuring his technical effects was The Beast from 20,000 Fathom based on a story by The writer Ray Bradbury, who was a long-time friend of Harryhausen. This was about a dinosaur drawn to a lone lighthouse by its foghorn. Because the story for Harryhausen’s film featured a similar scene, the film studio bought the rights to Bradbury’s story to avoid any potential legal problems. To film Beast from 20,000 fathoms Harryhausen used a technique called “Dynamation” that split the background and foreground of pre-shot live action footage into two separate images into which he would animate a model or models so seemingly integrating the live-action with the models. The background would be used as a miniature rear-screen with his models animated in front of it, re-photographed with an animation-capable camera to combine those two elements together, the foreground element matted out to leave a black space. Then the film was rewound, and everything except the foreground element matted out so that the foreground element would now photograph in the previously blacked out area. This created the effect that the animated model was “sandwiched” in between the two live action elements, right into the final live action scene. In most of Harryhausen’s films, model animated characters interact with, and are a part of, the live action world, with the idea that they will cease to call attention to themselves as only “animation.” Most of the effects shots in his earliest films were created via Harryhausen’s careful frame-by-frame control of the lighting of both the set and the projector. This dramatically reduced much of degradation common in the use of back-projection or the creation of dupe negatives via the use of an optical printer. Harryhausen’s use of diffused glass to soften the sharpness of light on the animated elements allowed the matching of the soft background plates far more successfully than Willis O’Brien had achieved in his early films, allowing Harryhausen to match live and miniature elements seamlessly in most of his shots. Harryhausen managed to save money, by developing and executing most of this miniature work himself, while maintaining full technical control. Harryhausen then began working with color film to make The 7th Voyage of Sinbad, experimenting with color film stocks to overcome the color-balance-shift problems. Ray’s producer/partner Charles H. Schneer coined the word Dynamation as a “merchandising term” (modifying it to “SuperDynaMation” and then “Dynarama”. Harryhausen was always heavily involved in the pre-production conceptualizing of each film’s story, script development, art-direction, design, storyboards, and general tone of the his films, as much as any auteur director would have on any other film, which any “director” of Harryhausen’s films had to understand and agree to work under. Only the complexities of Director’s Guild rules in Hollywood prevented Harryhausen from being credited as the director of his films, resulting in the more modest credits he had in most of his films. Harryhausen’s often worked with his family His father did the machining of the metal armatures (based on his son’s designs) that were the skeletons for the models and allowed them to keep their position, while his mother assisted with some miniature costumes. After Harryhausen’s father died in 1973, Harryhausen contracted An occasional assistant, George Lofgren, a taxidermist, assisted Harryhausen with the creation of furred creatures. Another associate, Willis Cook, built some of Harryhausen’s miniature sets. Other than that, Harryhausen worked generally alone to produce almost all of the animation for his filmsThe same year that Beast was released, 1953, fledgling film producer Irwin Allen released a live action documentary about life in the oceans titled The Sea Around Us, which won an Oscar for best documentary feature film of that year. Harryhausen then worked on Allen’s sequel. He also met producer Charles H. Schneer, Their first tandem project was It Came from Beneath the Sea (aka Monster from Beneath the Sea, 1955), about a giant octopus attacking San Francisco. followed by Earth vs. the Flying Saucers. In 1954, Irwin Allen began work on a second feature-length documentary film, about animal life on land called The Animal World Needing an opening sequence about dinosaurs, Allen hired premier model animator Willis O’Brien and Harryhausen to animate the dinosaurs, many agreed that the dinosaur sequence of Animal World was the best part of the entire movie. (Animal World is available on the DVD release of O’Brien’s 1957 film The Black Scorpion). Harryhausen then made 20 Million Miles to Earth (1957), about an American spaceship returning from Venus. The spaceship crashes into the ocean near Italy, which releases an on-board alien egg specimen that washes up on shore. The egg soon hatches a creature that, in Earth’s atmosphere, rapidly grows to gigantic size running amok and terrifying the citizens of Rome. He refined and improved his animation techniques still further for the Venusian Ymir alien. Harryhausen then developed a technique to maintain proper color balances for his DynaMation process, resulting in The 7th Voyage of Sinbad (1958) The Three Worlds of Gulliver (1960), Mysterious Island and Jason and the Argonauts (1963). Among the film’s best sequences is an exciting fight between three actors and seven living skeletons, And the confrontation with Talos the bronze giant. Harryhausen next made First Men in the Moon (1964), his only film made in the 2.35:1 widescreen (AKA “CinemaScope”) format, based on the novel by H. G. Wells. Harryhausen was then hired by Hammer Film Productions to animate the dinosaurs for One Million Years B.C. (1966) featuringRaquel Welch in her second film. Harryhausen next went on to make another dinosaur film, The Valley of Gwangi. This is Set in Mexico, and features cowboys who discover a forbidden valley inhabited by dinosaurs and manage to capture a living Allosaurus and bring him to the nearest Mexican city for exhibition. However the creature, escapes and wreaks havoc on the town. Harryhausen’s next film wasThe Golden Voyage of Sinbad, featuring a sword fight involving a statue of the six-armed goddess Kali this was followed by Sinbad and the Eye of the Tiger. Harryhausen and Shneer’s next film was Clash of the Titans featuring stars such as Laurence Olivier Ursula Andress, Burgess Meridith and Harry Hamlin and for which he was nominated for a Saturn Award for Best Special Effects. This features Perseus and his efforts to save the beautiful princess Andromeda from being sacrificed to the fearsome Kraken by undertaking a perilous journey to the Isle of the Dead Where he confronts the equally fearsome gorgon Medusa. sadly more sophisticated computer-assisted technology developed by ILM and others began to eclipse Harryhausen’s production techniques, with MGM and other studios refusing to fund his planned sequel, Force of the Trojans, sO Harryhausen and Schneer Retired from filmmaking. In the early 1970s, Harryhausen also published a book, Film Fantasy Scrapbook (produced in three editions as his last three films were released) and supervising the restoration and release of his films to video, laserdisc, DVD, and Blu-ray. A second book followed, An Animated Life, written with author and friend Tony Dalton which details his techniques and history. This was then followed in 2005 by The Art of Ray Harryhausen, featuring sketches and drawings for his many projects. In 2008 Harryhausen and Dalton published a history of stop-motion model animation, A Century of Model Animation and to celebrate Harryhausen’s 90th birthday The Ray & Diana Harryhausen Foundation published Ray Harryhausen – A Life in Pictures. In 2011 the last volume, called Ray Harryhausen’s Fantasy Scrapbook, was also published. Harryhausen continued his lifelong friendship with Ray Bradbury until Bradbury’s death in 2012. Another long-time close friend was “Famous Monsters of Filmland” magazine editor, book writer, and sci-fi collector Forrest J Ackerman, another friend was long-time producer, Charles H. Schneer, who lived next door to him in a suburb of London until Schneer moved full-time to the USA. Harryhausen and Terry Moore appeared in small comedic cameo roles in the 1998 remake of Mighty Joe Young, and he has also provided the voice of a polar bear cub in the Will Ferrell film Elf. He also appears as a bar patron in Beverly Hills Cop III, and as a doctor in the John Landis film Spies Like Us. In 2010, Harryhausen had a brief cameo in Burke & Hare, a British film also directed by Landis. In 1986 Harryhausen formed The Ray & Diana Harryhausen Foundation, a registered charity in the UK and US, which preserves all of his collection and promotes the art of stop-motion animation. In 2002, young animators Seamus Walsh and Mark Caballero helped Harryhausen complete The Story of the Tortoise and the Hare. This was the sixth and final installment of the Harryhausen fairy tales. The film was started in 1952 and completed in 2002, 50 years later and went on to win the 2003 Annie award for best short film and gained worldwide attention. Ray Harryhausen was also given a special tribute at The BFI Southbank theater which was attended by all the top visual effects directors and technicians and was hosted by director John Landis. At this event he was presented by Peter Jackson with a special BAFTA award from the British Academy of Film and Television Arts. In 2009, he released colorized DVD versions of three of his classic black and white Columbia films: 20 Million Miles to Earth, Earth vs. the Flying Saucers, and It Came from Beneath the Sea, and of She (1935), in tribute to its producer Merian C. Cooper.In June 2010, it was announced that the Ray and Diana Harryhausen Foundation had agreed to deposit the animator’s complete collection of some 50,000 pieces with the National Media Museum in Bradford, England. The work of Ray Harryhausen was celebrated in an exhibition at London’s Museum of the Moving Image (MOMI) in 1990. In 2010 A theater at Sony Pictures Digital Productions was named in honor of Harryhausen. The Science Fiction Hall of Fame inducted Harryhausen in 2005, He also received the annual British Fantasy Society Wagner Award in 2008 for his lifetime contribution to the genre and in 2003, Harryhausen was honored with a star on the Hollywood Walk of Fame. Ray Harryhausen left his collection, which includes all of his film related artefacts to the Ray & Diana Harryhausen Foundation, set up in 1986 to look after his extensive collection, to protect his name and to further the art of model stop-motion animation. The trustees are his daughter Vanessa Harryhausen, Simon Mackintosh, actress Caroline Munro who appeared in The Golden Voyage of Sinbad and film maker John Walsh who first met with Ray Harryhausen in 1988 as a film student of the London Film School and made a documentary entitled Ray Harryhausen: Movement Into Life narrated by Doctor Who actor Tom Baker (who also appeared in the Golden Voyage of Sinbad. The Foundation’s website charts progress on the restoration of the collection and future plans for Ray’s legacy. In 2016 the foundation launched The Ray Harryhausen Podcast. This included never before heard audio from Ray Harryhausen. Hosted by Collections Manager Connor Heaney and John Walsh. Best known as the drummer of the English rock band Deep Purple, the English musician Ian Paice was born 29 June 1948. Since Jon Lord’s departure in 2002, he is the only continuous member of Deep Purple, and as such is the only member to appear on every album the band has released. Born in Nottingham, Ian Paice got his first drum kit at 15. He began his professional career in the late 50s playing drums in his father’s dance band. The first band he was in was called Georgie & the Rave-Ons, which after being renamed for The Shindigs released their first single featuring 17-year-old Ian Paice and George Adams. In 1966 Paice joined The MI5, which soon changed its name to The Maze and produced a number of singles, recorded mainly in Italy and France. The band featured Rod Evans, who alongside Paice was to form the original line-up of Deep Purple in February 1968. Ian Paice was also heavily involved in doing sessions for various artists from the stable of the famous 60s producer Derek Lawrence. After Deep Purple split, Ian Paice went on to form a new supergroup, Paice Ashton Lord in 1976. The band, comprising also singer/pianist Tony Ashton, organist Jon Lord, guitarist/vocalist Bernie Marsden and bassist Paul Martinez recorded one album, Malice in Wonderland and they played only five live shows. It was put on hold in 1977, halfway through recording the group’s second album. They subsequently broke up. In August 1979, Ian Paice was asked by David Coverdale to join Whitesnake on the Japanese Tour for the Lovehunter album. He stayed with the band for almost three years. 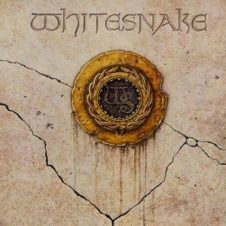 He appeared on the Whitesnake albums Ready an’ Willing (1980), Live…in the Heart of the City (1980), Come an’ Get It (1981) and Saints & Sinners (1982). This incarnation of Whitesnake also featured Jon Lord which meant three members of the Mark III line-up of Deep Purple were in Whitesnake. Following musical differences with David Coverdale, Ian Paice left Whitesnake in January 1982. In November 1982 Ian Paice joined Gary Moore for an album date (“Corridors of Power”). It turned out so nicely that Moore’s manager came up with the idea of Moore and Paice putting a band together under Moore’s name, so that his management would take the business side of the project with Paice having a sizeable interest in the band. The collaboration turned out to be a successful one and produced a couple of albums and extensive tours. Ian Paice left Moore’s band in April 1984 to rejoin Deep Purple, and he remains in Deep Purple to the present day. In 1973 Ian Paice was among English rock musicians invited by Eddie Harris, an American jazz player, to take part in the saxophonist’s London sessions at Morgan Studios. Paice played on two songs: “He’s Island Man” and “I’ve Tried Everything” along Jeff Beck, Steve Winwood and Rick Grech. The album called E.H. in the U.K. – The Eddie Harris London Sessions, produced by Geoffrey Haslam, was released the next year thru Atlantic Records. In 1983 Ian Paice took part in one of the first tribute recordings by symphonic orchestra paid to a rock band. Arrested – The Music of Police was a joint venture by the Royal Philharmonic Orchestra conducted by Don Airey and assembled rock musicians (other artists involved included Neil Murray, Graham Bonnet, Chris Thompson, Gary Moore, Roy Wood, Keth Airey and Raff Ravenscroft to name a few). The sessions took place mainly in London, primarily at Abbey Road, but also in Los Angeles. In July 1989 Ian Paice took part in George Harrison’s recording session at Friar Park, which resulted in three songs “Cheer Down”, “Cockamamie Business” and “Poor Little Girl”, which also featured Jeff Lynne, Jim Horn and Richard Tandy among others. The songs were recorded for the compilation album Best of Dark Horse 1976-1989, released in October the same year. The purpose of this album was to close Harrison’s contractual obligations to Warner Brothers. “Cheer Down” was also released on the Lethal Weapon 2 (1989) soundtrack album. In March 1999 Ian Paice joined Paul McCartney at Abbey Road Studios for the recording of Run Devil Run, released in October that year. The line-up also featured Pink Floyd’s David Gilmour and The Pirates’ Mick Green. Paice also joined the album’s line-up at three one-off performances in September and December 1999, including a show at the famous Cavern Club. In 2001 Ian Paice guested Jim Capaldi’s album Living on the Outside. He plays on a 1960s style rock and roll song “Anna Julia” and guitar-driven “We’re Not Alone”. “Anna Julia”, which was also released as a single and turned out a considerable hit, also features George Harrison and Paul Weller. Ian Paice has worked on numerous occasions with former Spencer Davis Group drummer, Pete York. In December 2001 the two played a low key club tour of Germany, playing two drums on one stage, supported by Colin Hodgkinson (bass) and Miller Anderson (guitar, vocals). Apart from the regular setlist consisting of songs from York’s and Paice’s back catalogue, the shows featured impromptu drumming demonstrations and Q’s & A’s sessions. Ian Paice often joins on stage Italian guitarist Tolo Marton, with whom he has performed on many occasions over the last decade. Marton’s live album Dal Vero (2002) features Ian Paice on Jimi Hendrix classics “Stone Free” and “Hey Joe”. Since 2005 he has also been involved in Moonstone Project led by Italian guitarist Matteo Filippini. The band performs on a regular basis mainly in Italy. They have also released two studio albums on both of which Ian Paice has guested. Time to Take a Stand (2006) featured two songs that featured both Ian Paice and Glenn Hughes, performing together for the first time since 1976. Ian Paice’s admirers includes Red Hot Chili Peppers’ Chad Smith. On 21 June 2004 Smith and Paice joined forces at the launch of the London Drum Company. The next year they also played together at the Modern Drummer Festival at New Jersey Performing Arts Center. In mid-2011 Paice took part in the all-star recording of William Shatner’s Seeking Major Tom, the actor’s fourth album, a collection of space-themed cover songs. Paice plays on a rendition of Deep Purple’s “Space Truckin’” alongside Johnny Winter. The album also features former Deep Purple guitar player, Ritchie Blackmore. On 19 June 1992 Ian Paice was among guest musicians performing at the Leukaemia Research charity concert in Oxford. The concert featured members of Bad Company and Procol Harum as well as Gary Moore and Tony Ashton. On 20 October 1992 in New York, Ian Paice played at the John Bonham Tribute alongside Jason Bonham, Tommy Aldridge, Denny Carmassi, and Frankie Banali among others. Paice performed “The Rover” off the Led Zeppelin album Physical Graffiti. Ian Paice joined Tony Ashton at two performances at the Hell Blues Festival on 10 and 11 September 1999 in Norway. The band also featured Paul Martinez on bass who had played alongside Ashton and Paice in Paice Ashton Lord in 1976/1977. The group was, however, billed as Tony Ashton & Legendary Friends. Ian Paice entertained more than 1000 people at a special charity concert in Reading. This highly successful event, which raised over £7000, was organised by Chris Wright, MD of DrumWright. The show was organised in aid of Tong-Len, which supports primary education for highly deprived children in Northern India. In 2006 Ian Paice joined Don Airey, Thomas Blug and Thijs van Leer at impromptu performances held during the ProLight+Sound fair in Frankfurt, Germany. The show included songs from the highly acclaimed Billy Cobham album Spectrum as well as songs by Deep Purple and Focus. Since 2006 Paice is also involved in The Sunflower Jam, a London-based charity founded by his wife Jacky Paice and also involving actor Jeremy Irons. Paice is usually featured as a member of the SunflowerJam house band. He has performed there with likes of Robert Plant, Brian May, John Paul Jones, Gary Moore and Bruce Dickinson. In2007 Ian Paice held a drum clinic organised by the University of Glamorgan. The show was organised in partnership with ATRiuM the University’s Cardiff School of Creative & Cultural Industries. Commenting after the show Paice said: “ATRiuM will be a great place for young musicians to learn their craft, not to mention all the other things they’ve got going on there. This drum clinic of mine will hopefully demonstrate that drummers are also musicians, despite the jokes!”. In 2008 Paice took part in the ChildLine Rocks charity concert in London, where he played with former Deep Purple bassist Glenn Hughes for the first time since 1976 and also participated in “Rock Legends Adventure” concert in Cologne, Germany. He joined an all-stars line-up featuring Pete York, Leland Sklar, Steve Lukather, Bobby Kimball and John Miles among others. Paice played on 10 of 32 songs performed that night, including The Kinks’ “You Really Got Me”, The Beatles’ “I Saw Her Standing There” and “Come Together”, Allman Brothers Band’s “One Way Out”, Steve Wonder’s “Superstition” and Deep Purple’s “Smoke on the Water”.Ian Paice also appeared at the Pearl Day (Pearl drums event) at the East Midlands Conference Centre in Nottingham, UK. Apart from Paice, guests included Jerry Brown, Mark Brzezecki, Jimmy Degrasso, Darrin Mooney, and Dan Foord. In 2009 Ian Paice joined Neil Murray, Doogie White, Jonathan Noyce, Clive Bunker and Phil Hilborne at a “Night with Jethro Tull and Deep Purple” concert in Turin, Italy. In 2010 Ian Paice, Jon Lord and Iron Maiden frontman Bruce Dickinson joined leading actors (Gillian Anderson, Julie Christie, Sinéad Cusack, Emilia Fox, Derek Jacobi, Zoe Wanamaker, James Wilby, among others) to support Survival International at the Apollo Theatre in London for fundraising event “We are One – a celebration of tribal peoples”, created by actor Mark Rylance. In 2012 Ian Paice performed at the Buddy Rich 25th Anniversary Memorial Concert at the London Palladium. He was joined on stage by the Buddy Rich Orchestra and Bruce Dickinson. Paice also appeared at the Sunflower Jam charity concert at the Royal Albert Hall, performing alongside guitarist Brian May of Queen, bassist John Paul Jones of Led Zeppelin, and vocalists Bruce Dickinson and Alice Cooper.